There's no denying that Dustin Brown, the player who wears the captain's jersey for the Los Angeles Kings, is tailor-made for success. Things are indeed looking good these days for the 25-year-old Brown, who has played a significant role in putting the Kings back on the Stanley Cup trail. Not only is he playing the best hockey of his NHL career, but the right-winger is also making headlines away from the rink in his role as the face of Combat Sports. Combat Sports is in production of the "DLo23" stick which Brown will use for the 2010-2011 NHL season, which will also be available for players and fans across North America. The company is also working on an apparel line based around the right-winger. Life, on and off the ice, he admits, is good. Brown enjoyed a memorable 2009-2010 campaign, a season that saw him make his first NHL playoff appearance. He was also an assistant captain of the upstart 2010 U.S Olympic squad that lost 3-2 in overtime to Canada at the Winter Games in Vancouver. Needless to say, Brown is eager to build upon those successes as Los Angeles established a franchise record with a nine-game unbeaten streak, and finished the season with 101 points, just the third 100-plus point season in franchise history. 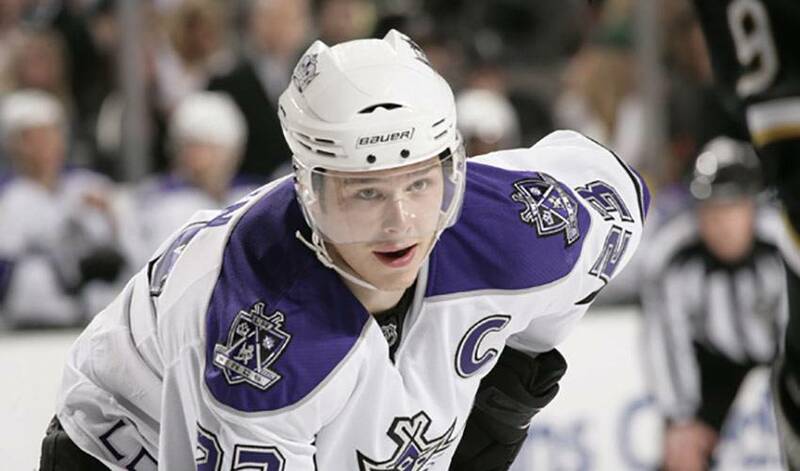 Brown, who was named the Kings' captain on October 8, 2008, the fifteenth in franchise history, is the youngest player to wear the ‘C' and the first American-born captain for Los Angeles. It's a role he takes great pride in. Admittedly a lead-by-example type, Brown likes what he sees in the Kings, a team that features a solid mix of youth and veterans throughout the lineup. “There are two things that really stand out for me when it comes to our team,” he said. “The first is that we are all really, really close. Almost every player says that about their team, but in terms of the room of itself, everyone is on the same page, everyone gets along. There are no issues. We are all working towards the same goal. It's no wonder Brown can't wait to get back on the ice. Still, he's well aware the smartest path to the Stanley Cup is not looking too far down the road. You might even say it's fit for a King.